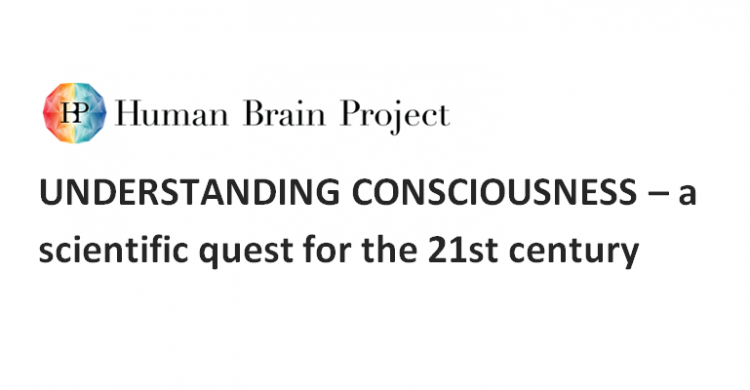 A 2-day scientific conference linking the Human Brain Project and external neuroscience communities. Registration details will be available in the New Year. – Larissa Albantakis: Dept of Psychiatry, University of Wisconsin-Madison, USA. – Ned Block: Department of Philosophy, New York University, USA. – David Chalmers: Department of Philosophy, New York University, USA + Centre for Consciousness, Australian National University, Australia. – Catherine Tallon-Baudry: Cognitive Neuroscience Laboratory, Institut National de la Santé et de la Recherche Médicale (INSERM)-École Normale Supérieure (ENS), Paris, France. – Wolf Singer: Department of Neurophysiology, Max Planck Institute for Brain Research Frankfurt am Main, Germany ; Ernst Strüngmann Institute for Neuroscience in Cooperation with Max Planck Society Frankfurt am Main, Germany ; Frankfurt Institute for Advanced Studies, Johann Wolfgang Goethe University Frankfurt am Main, Germany. – Nao Tsuchiya: School of Psychological Sciences, Monash University, Clayton, Australia + Monash Institute of Cognitive and Clinical Neuroscience, Monash University, Clayton, Australia. – Rodolfo Llinas: Neuroscience Institute, Departments of Physiology, Neurology, and Psychiatry, and Center for Neural Science, New York University, New York, USA. – Sean Hill: Neuroinformatics division, Campus Biotech, Geneva, Switzerland + Laboratory for the Neural Basis of Brain States, École Poly­tech­nique Fédérale de Lau­sanne, Switzerland. – Karl Friston: Wellcome Trust Centre for Neuroimaging, Institute of Neurology, University College London, London, UK. – Fabrice Wendling: INSERM, U642, Université Rennes 1, Rennes, France. – Nicholas Schiff: Feil Family Brain and Mind Research Institute + Dept of Neurology, Weill Cornell Medical College, New York, USA. – Emery Brown: Department of Anesthesia, Critical Care and Pain Medicine, Massachusetts General Hospital, Harvard Medical School, Boston, MA, USA + Department of Brain and Cognitive Science, Massachusetts Institute of Technology, Cambridge, MA, USA. – Melanie Wilke: Department of Cognitive Neurology, University Medicine Goettingen, Goettingen + German Primate Center, Leibniz Institute for Primate Research + German Research Foundation (DFG) Center for Nanoscale Microscopy and Molecular Physiology of the Brain (CNMPB), Georg-August-Universitaet Goettingen, Goettingen, Germany. – Olaf Blanke: Laboratory of Cognitive Neuroscience, Brain-Mind Institute, Ecole Polytechnique Fédérale de Lausanne, Lausanne, Switzerland + Center for Neuroprosthetics, Ecole Polytechnique Fédérale de Lausanne, Lausanne, Switzerland.